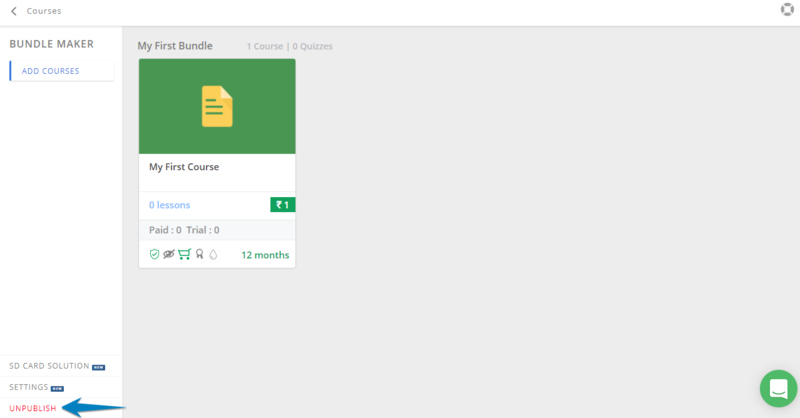 Login into Admin interface and go to Courses > Bundles tab and select the bundle which you want to unpublish. Click on Unpublish button. In settings page again click on Unpublish button. Your bundle gets unpublished successfully.